When: Thursday, March 21, 5 p.m.
We’ve all been there, you’re sitting at the movies and watching the latest very entertaining Hollywood blockbuster, and you stop and think, “Well, wait...That’s not how it would happen! That’s not realistic.” If you have a background in science and tech, it’s even more likely you’ll notice all the technical inaccuracies in movies the public loves. 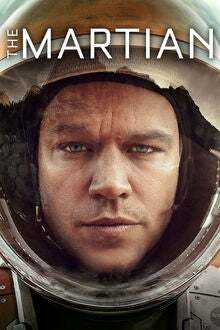 In this spirit, the Graduate Student Advisory Board (GSAB) for the College of Engineering and Applied Science decided to take this to the next level: They’ve invited two faculty experts to a free screening of The Martian (2015), a popular movie about what happens when an astronaut is left behind on Mars to fend for himself, starring Matt Damon. CU Boulder faculty members Rick Hieb and Allie Anderson are experts in aerospace and are excited to pick out details of a sci-fi movie to an audience who will appreciate it. Attendees of (Bad) Science Movie Night on March 21 will enjoy the movie, and then Hieb and Anderson will discuss what it’s really like to be in space, what Hollywood interpreted correctly and what they got so painfully wrong. Hieb, a scholar in residence for aerospace and former astronaut himself, has logged more than 750 hours in space, including extra-vehicular activity and space walks. He is looking forward to discussing his own personal experience and what Hollywood got wrong. Anderson, a faculty member in Aerospace Engineering, does research that investigates issues in aerospace biomedical engineering and human physiology in extreme environments. Her focus is to develop technologies to measure and mitigate the body’s adaptations to extreme environments.. She loves to “nerd out” on both movies and spacesuits, so she is particularly excited to participate in this event. The movie will be screened at 5 p.m. Thursday, March 21, in Chem 140. The panelist discussion will begin between 7 and 7:30 p.m. and will go for an hour. Bring some cash; drinks and concessions on sale for only $1 each.